Six people were wounded late Wednesday after a refinery in Abadan, south-west of the country, caught fire. The fire-fighters tackled the damage in which six people were wounded, one in critical conditions, sources told semi-state media Tasnim news agency. 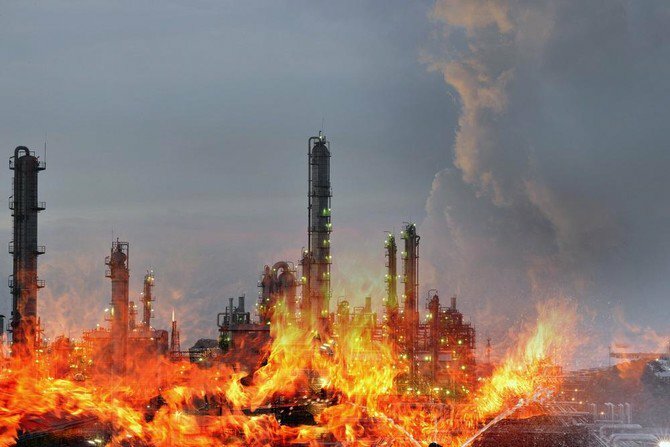 Causes of the fire have not been revealed but the media also pointed out that operations at the oil facility have not been disrupted. Abadan refinery produces gasoline and some other fuels. The oil refinery, like the majority of Iran’s oil processing facilities, are in dire condition as they need renovation and major works, Reuters reports. The withdrawal of the United States by President Donald Trump from the 2015 nuclear deal in May and the US administration’s decision to re-impose economic sanctions have deterred companies to enter into deals with Iran for the renovation works. Companies from Western countries, France, Germany and Britain, which are parties to the deal, have begun pulling out from Iran. US allies in Asia have also frozen contracts with Iran. This week, a US top official who spoke under condition of anonymity told reporters that the White House is seeking to get all its allies halting their purchase of Iranian oil, as a way to heap economic pressure on Teheran.